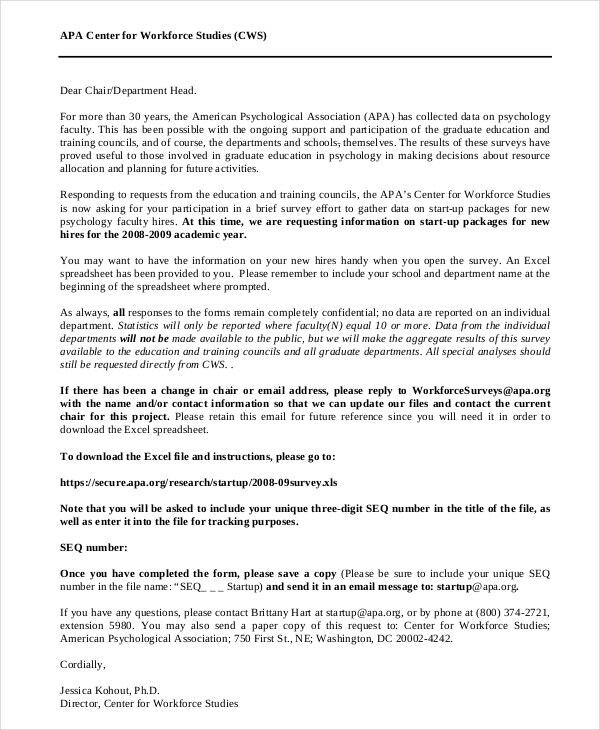 APA stands for American Psychological Association. The Style Guide stands as a benchmark for academic documents such as books and journal articles. It clearly essays how the guidelines assist the readers with a comprehensive reading in the social and behavioral sciences. To crispify it, it dictates the choice of words that best reduce the complexity and confusion in language. 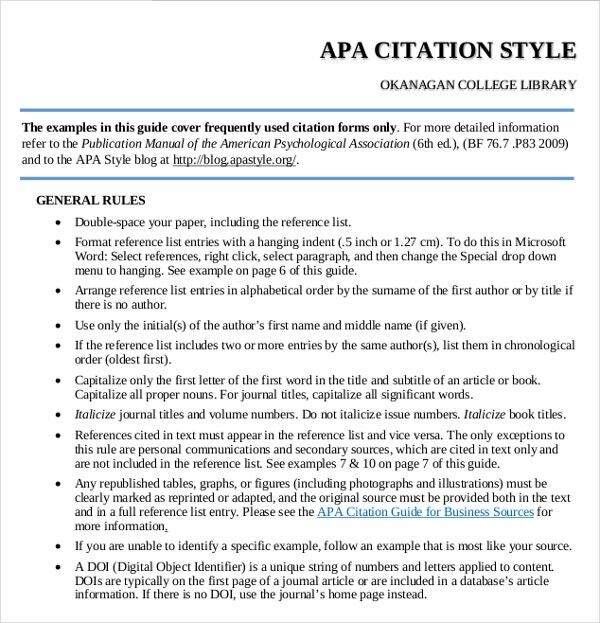 APA has been used for citations and for many other literary purposes. 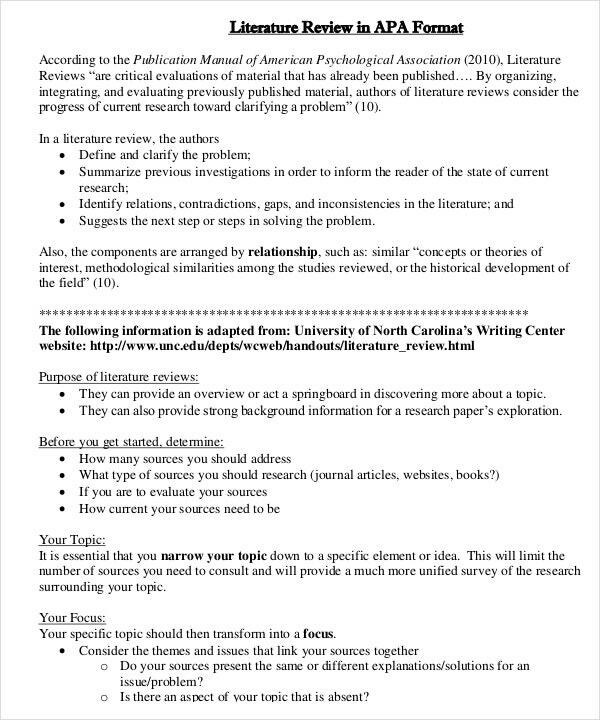 Below are some APA format cover examples for your easy usage. Are you going to write an abstract in a more sesquipedalian way? Then beware of the editors with hippopotomonstrosesquippedaliophobia. Before that, do you know what all your abstract page should have? Then referring an ideal example is two-way beneficial. It educates and in case you are not so hesitant, you can put it to real-time use as well. This Abstract in APA Format Example contains the topic for research, questions on the same, list of active participants, methodology, results, data analysis, and finally, it draws the conclusions. Are your essays sounding contradistinguished? Then the problem could be with your format. Are you familiar with the fact that any and every essay, when written on a professional note, should follow a certain set of rules? But again this would differ from one format to another. 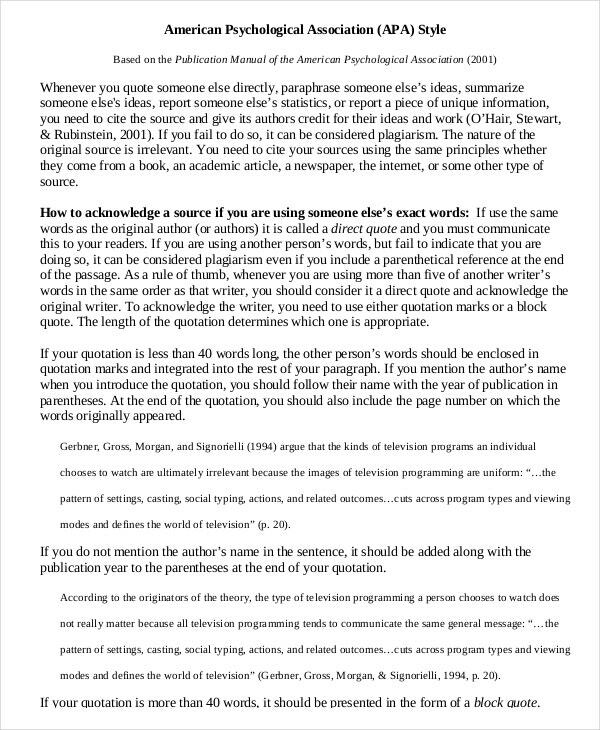 This Essay in APA format example is typed on a standardized paper with double spaces. How are you going to cite your sources? If you fail to follow proper format, they seem syncategorematic. This is the reason Citations more often follow the APA format. 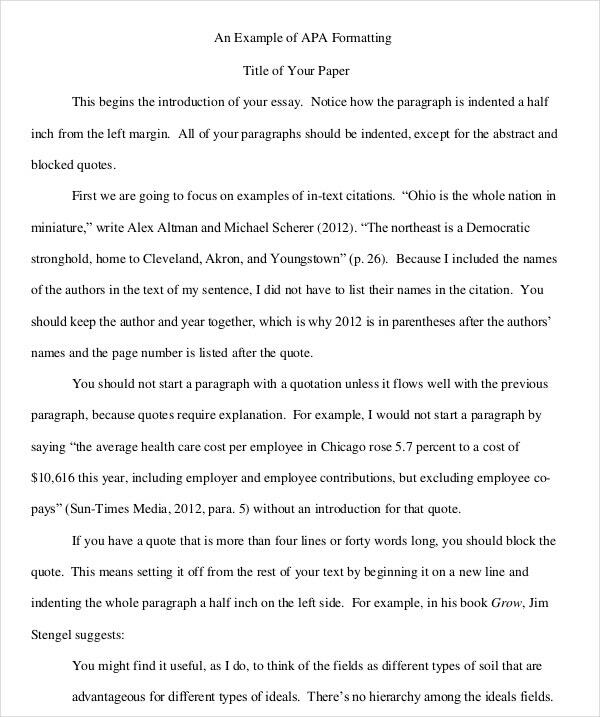 This citation in APA format Example follows in-text citation. However, it makes the complete reference available at the end of the work. The bibliography is not only an art student’s cup of coffee, even the science buddies need to deal with them a lot. 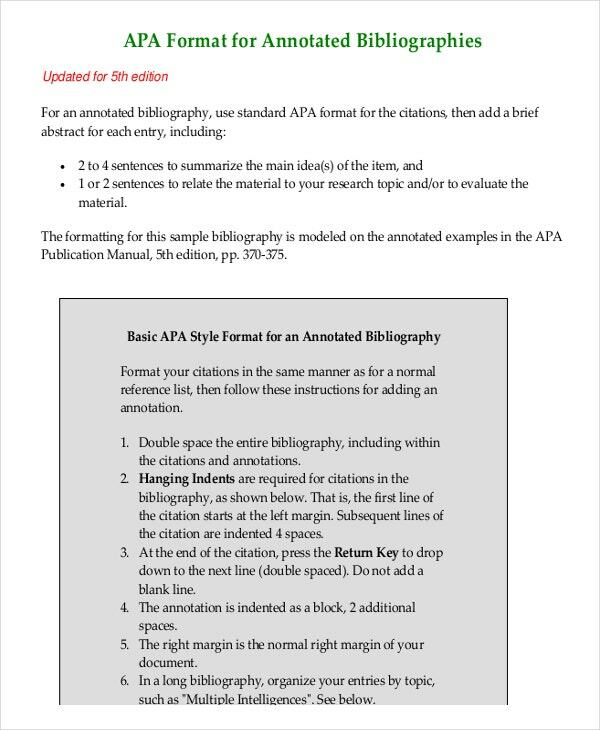 This section brings you the ideal Bibliography in APA format example, which can be used by both science and art students. This bibliography examples can be used for all kinds of bibliographies. “Why should I let the toad work Squat on my life? Can’t I use my wit as a pitchfork And drive the brute off? Philip Larkin – Toads”The above quotation best brings the need of the hour, using readymade solutions. By putting the quote in the first place, we are hereby trying to recommend the literary review in APA format example to literary lovers. Hope you get connected. Appendix is a section generally placed at the end of the document in which the writer mentions the information. This information is a reference which is otherwise not possible to mention in the document, because it burdens the reading. 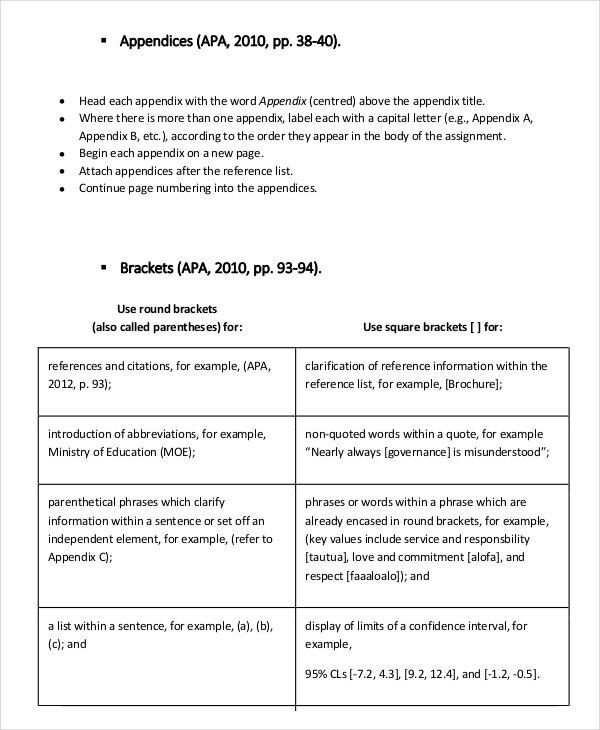 This Appendix in APA Format example is spacious and makes your document readable. Also, they are print-ready. 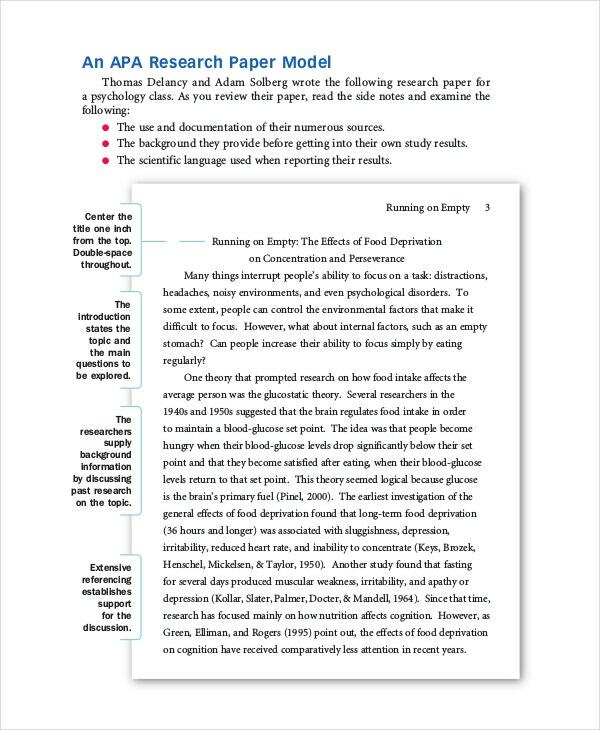 Research Papers summarizes the researchers’ hard work in a few pages. Hence they should reflect the labor in a more readable manner. 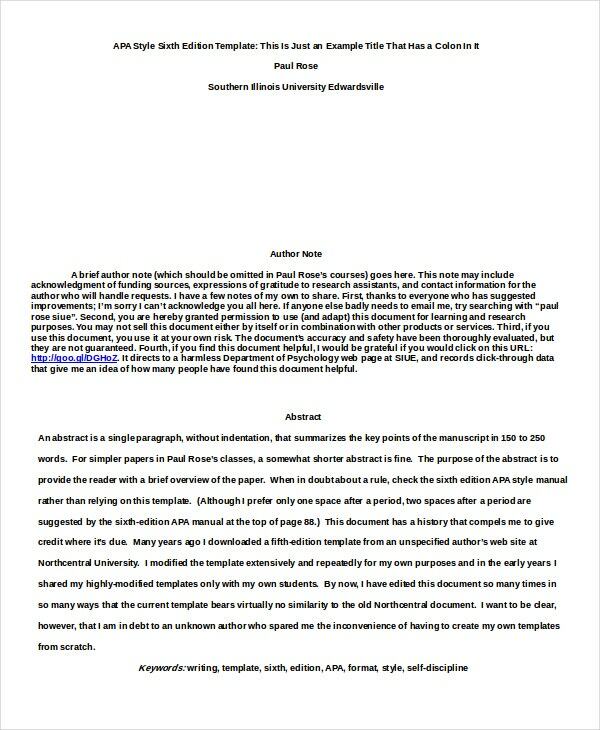 The APA Format Example mentioned in this section helps researchers to project their thesis in a grand manner. Reference List appears at the end of the paper and provides the necessary information in the form of sources. This Reference List in APA Format Example helps you locate and retrieve the sources quickly. Cover Letters hold a prominent role in the professional world. With this Cover Letter in APA Format Example, you can modify any Cover Letter of any position. Use this subject guide now. > Why to use the APA Style? What if your way of writing doesn’t go well with your editor? What is the guarantee that your style will not be pointed out, in spite of your hard efforts? Hardly any. This is why it is always better if there is a common ground to talk. The Style Guide provides that common ground. If your company adheres to a Style Guide, it takes care of all issues related to the style. Hence you and your editor will be on the same page.